Relax in style with the Camille Contemporary Dining Chair in gray! The clean design lines allow this chair to fit seamlessly in any home, living room Relax in style with the Camille Contemporary Dining Chair in gray! The clean design lines allow this chair to fit seamlessly in any home, living room or office. 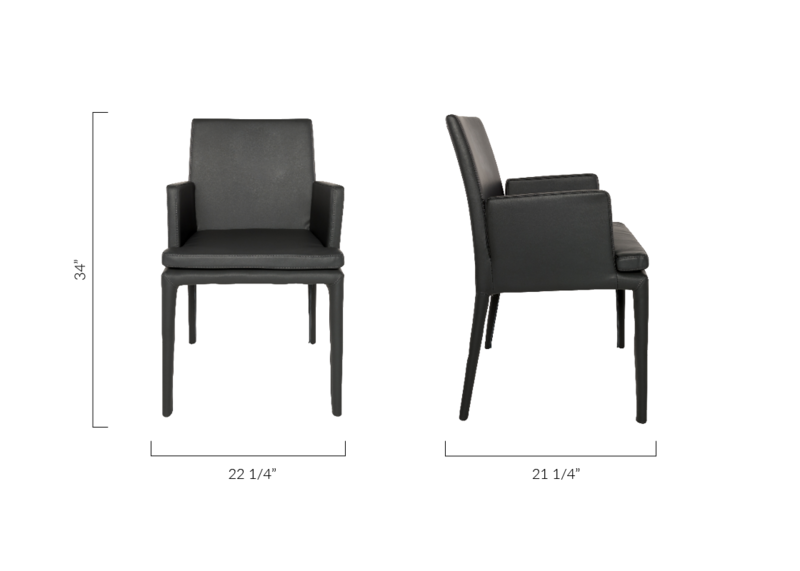 The Camille Chair may be minimalist in design, but it's abundant in style! The soft gray color of the Camille Chair, make it an easy addition to your preexisting Modani furniture. Relax in style with the Camille Contemporary Dining Chair in gray! The clean design lines allow Relax in style with the Camille Contemporary Dining Chair in gray! The clean design lines allow this chair to fit seamlessly in any home, living room or office. L: 21 1/4" * W: 22 1/4" * H: 34"